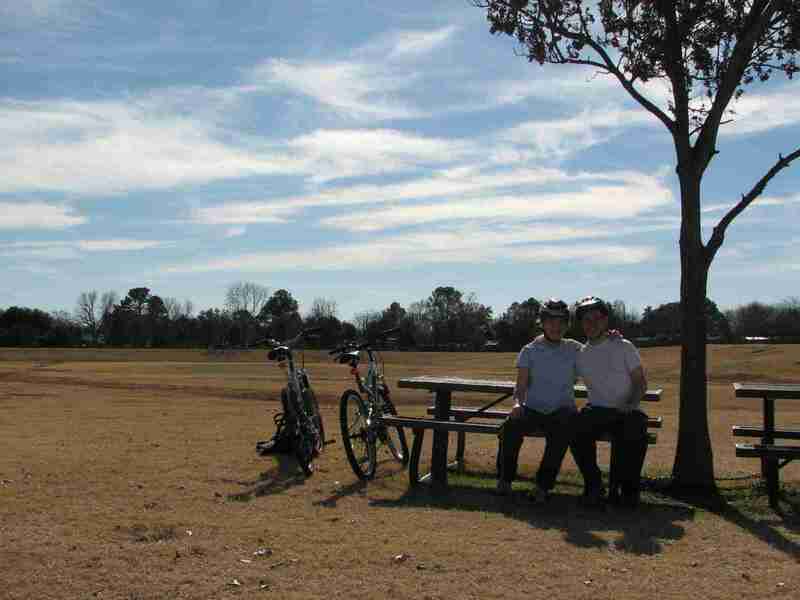 We biked over with a picnic, all excited about our little date and just laughed when we got there….at least it had a tree! Well, we had much better luck this time using the Irving Parks and Rec guide. One park turned up great landscaping, a nice Rec center and a pleasant walking trail. Another had an incredible skate park, a wooded jogging path and very friendly squirrels. The last one we visited mostly just had playground and picnic tables with a lot of land. Being the only ones around, Brian and I decided to try out the equipment – so we would know if Tadpole would like it. 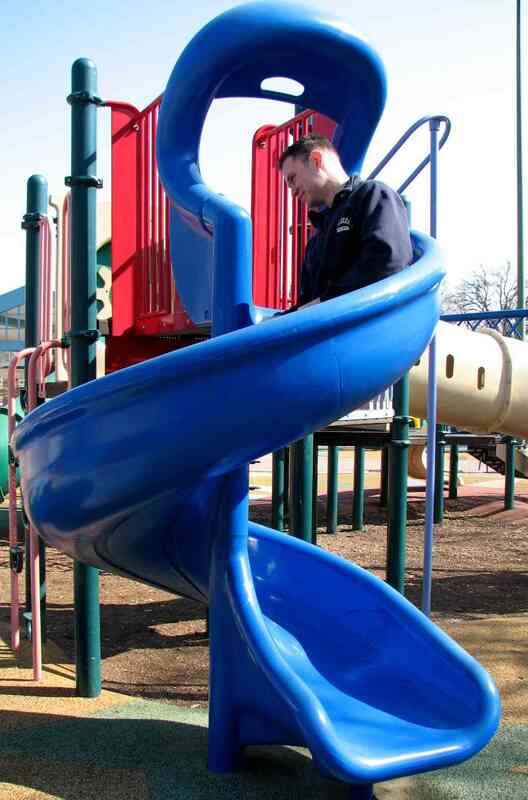 These are the kind of slides that generate a lot of static electricity! 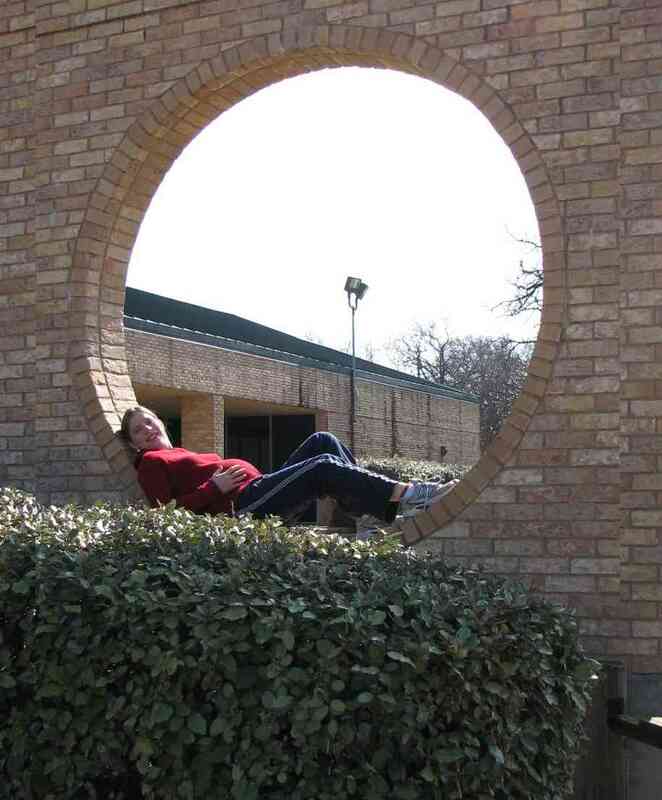 I liked this brick circle and had Brian take “tummy picture” of me. Hey whenever I got your first comment I had to approve it on the admin page and then it showed up on my website…other than that I don’t know why it wouldn’t show up…it says there is a comment and then just has an empty, blue box…so I don’t know. 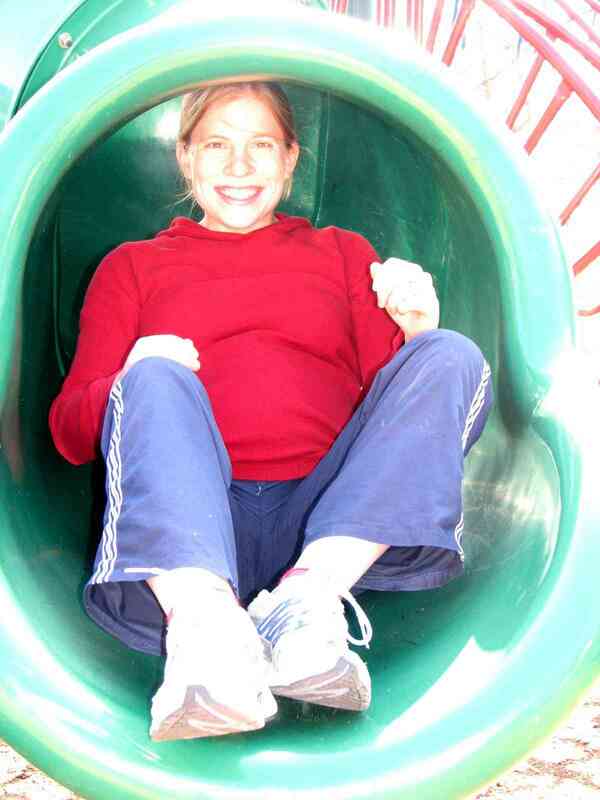 I love the park pictures…wish there were parks like that around here. Someone actually told me of a nice one in Longview but there’s not much here in Marshall…..guess what?? I have a ring on my ring finger of left hand…!! !